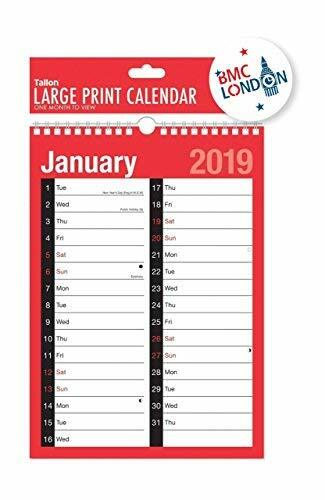 2019 A4 Large print calender with one month to each page. Ideal usage for home, business, office, school, college, etc. Notable dates or holidays described and shows phases of moon.